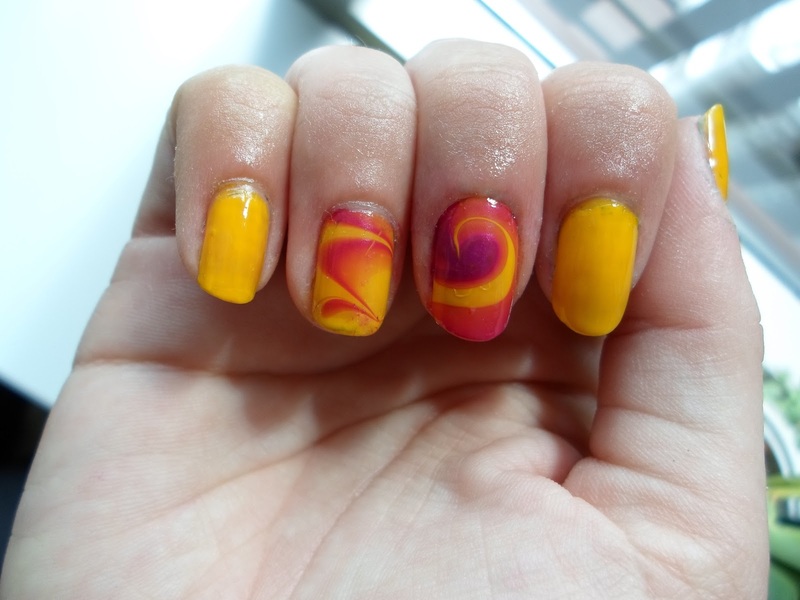 NefariouslyNiftyNails: Water Marble - summer colors ! 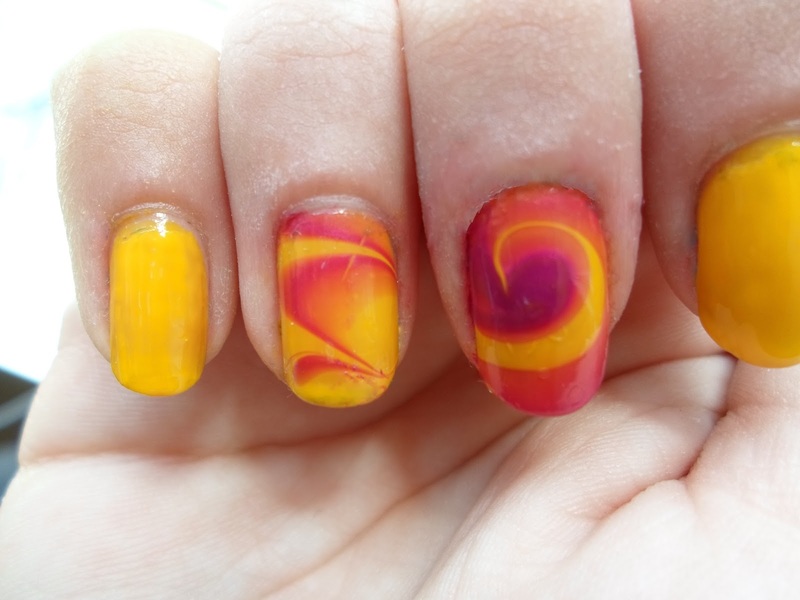 This is kind of an expansion of yesterdays manicure (to see, click here). I just thought that the lovely color deserved it's own post first :b I lolololove it! 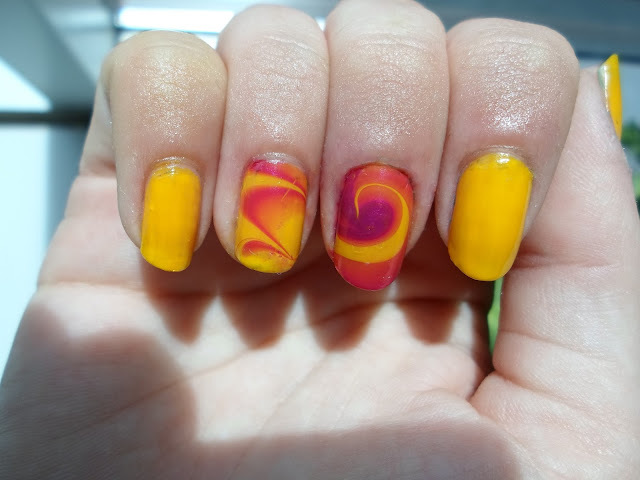 Well oh well, I decided to make some water marble on a few of the nails. I didn't do all nails since I wanted the yellow to be in focus, not the water marble. Let's just see the result! It didn't turn out to be the pattern I had imagined, but this is just as good. I really like it, I must admit! 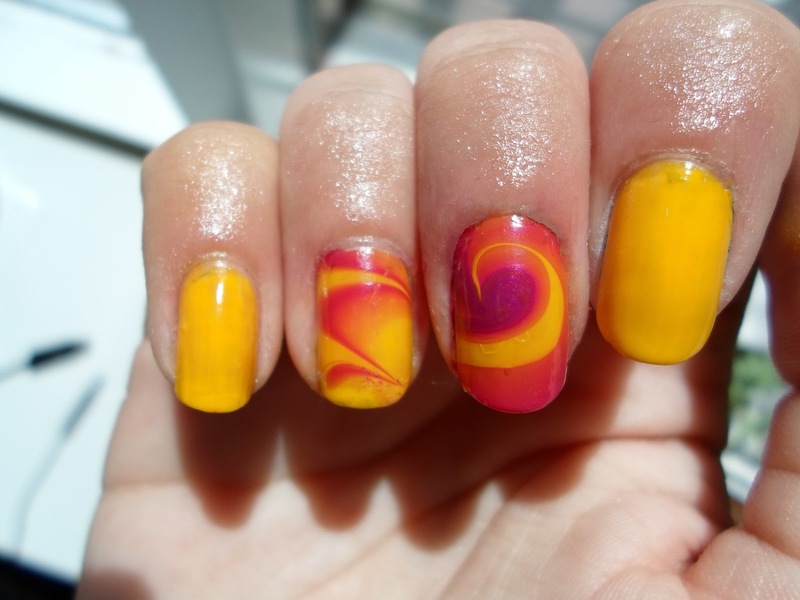 There are used two coats of Electric Yellow on pinky and index, and one coat on ring and middlef. as base coat. I think the yellow looks so fine with this glitter top, though I know it's a silly background...! The yellow just stands out more. More irl than on this photo..
Well, I hope you will have a nice weekend - I know I will, though I am totally depressed right now because I just found out that Nick Cave is playing tomorrow in my city and I'M. NOT. THERE! Shoot me. I love water marbles, I really need to get back into doing them. Those colours are great together, it is 100% sure that I am getting that yellow now!